Despite being specializes in high-quality feeding technology, i.e. component and system solutions, we have the necessary flexibility and the know-how of long years to realize customized special constructions. 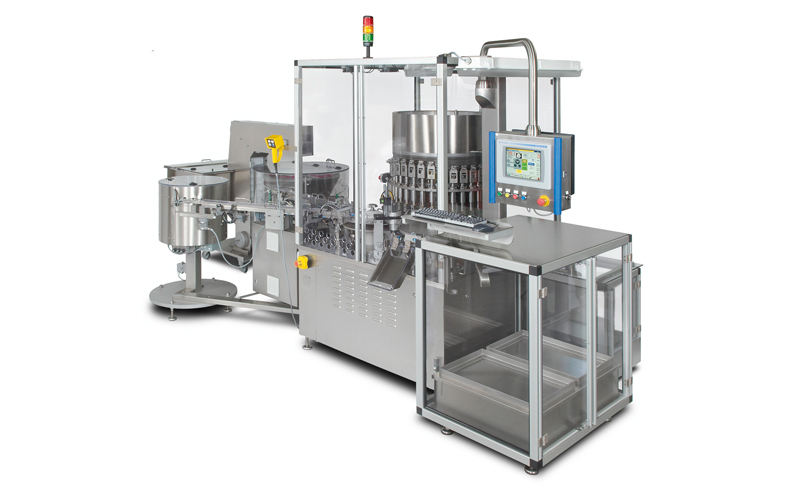 32-point continous automatic assembly machine for the assembly of flip-off caps with an output of 1,200 pieces per minute. 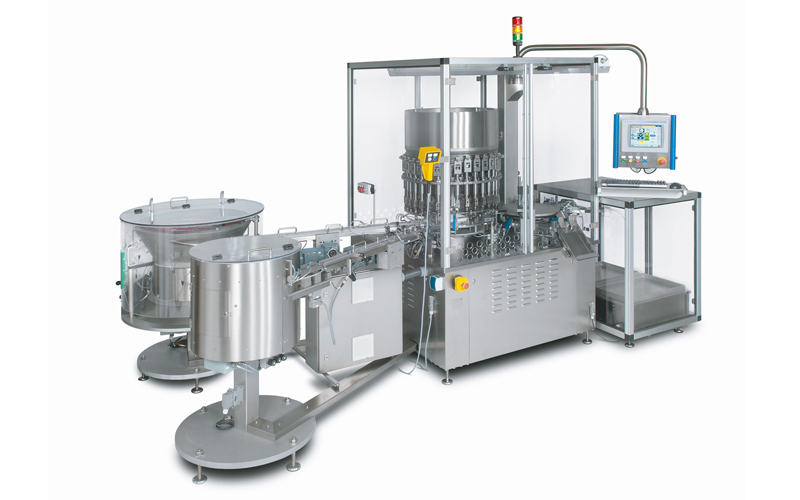 Automatic execution of several processes for an efficient and economical manufacturing. 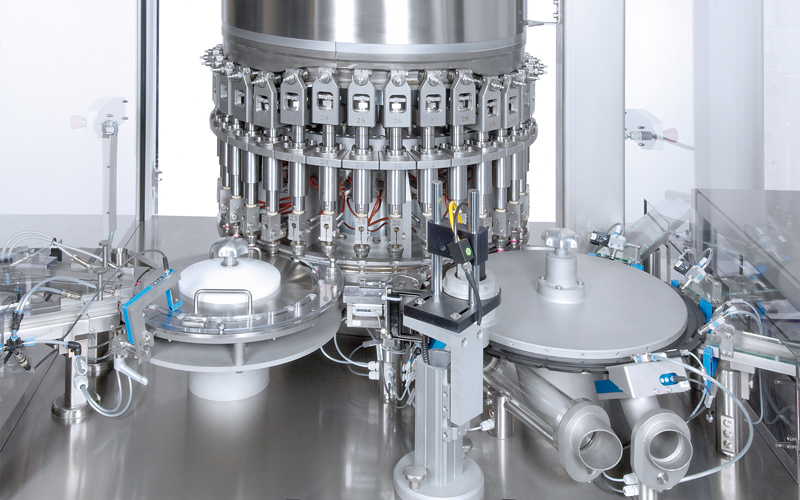 Rotary automatic assembly machine for the feeding of push-on caps and subsequent filling with hard gelatine capsules, closing with aluminium seals, hot stamping and labelling with an output of up to 50 pieces per minute.